Layer upon layer of mocha creaminess. This famous Italian dessert is guaranteed to please a crowd. 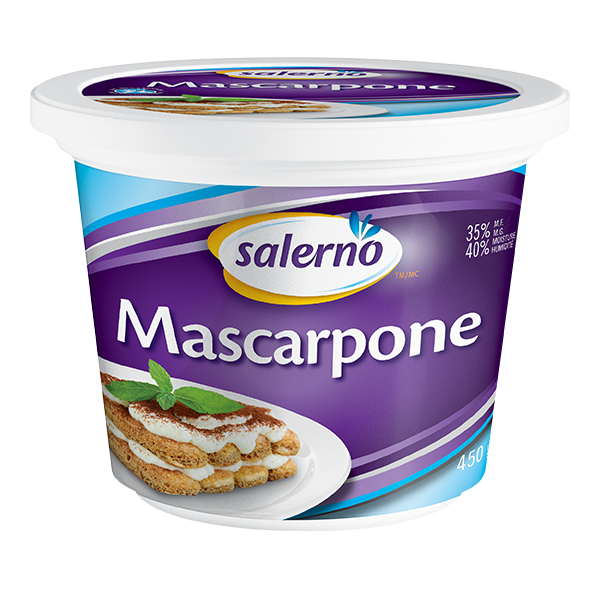 Combine powdered sugar and Salerno Mascarpone Cream in a bowl and beat at high speed until well combined. Gently fold in 1 cup of whipped cream. In a separate bowl whisk egg whites until stiff peaks form. Whip in 1/2 cup sugar. Gently fold egg white mixture into a mascarpone mixture. In a separate bowl combine cold espresso coffee and coffee liquor. Dip cookies lightly into the coffee mixture and line the bottom of an 8 inch square baking dish. Spread 1/3 of mascarpone mixture over the cookies. Repeat layering. Finish with a layer of mascarpone mixture. Gently spread the remaining whipped cream over the top and sprinkle with Cocoa powder. Cover with plastic wrap and refrigerate for at least 24 hours before serving.